Sometimes in life we have to make the best out of a bad situation. This is exactly what many Western Canadian farmers are doing this harvest. If we wanted to sum up this Prairie harvest in one word, I think many in the ag industry would agree that the word could be challenging. This was mainly due to Mother Nature not cooperating. 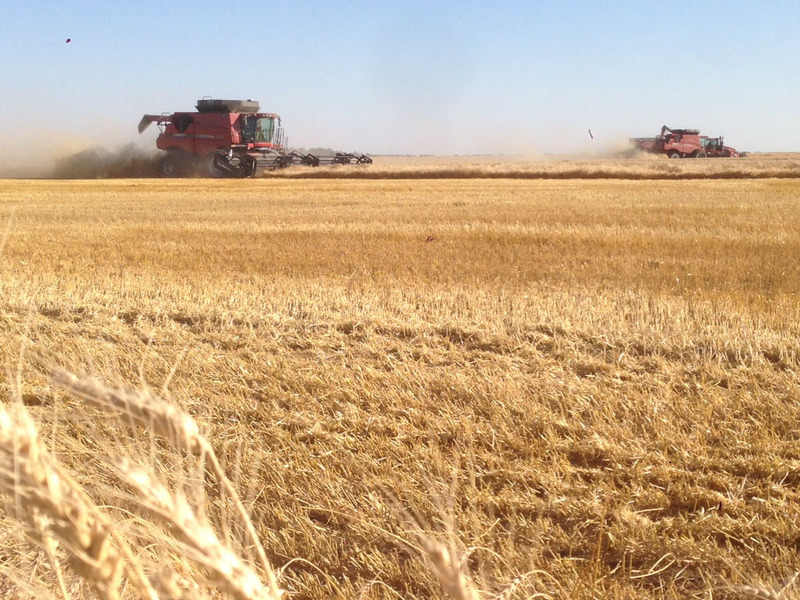 The start of harvest was delayed across the Canadian Prairies due to what seemed like endless rain and cool temperatures. No sooner did it dry up a bit and it would rain again. A Year in the Life of a Farmer wrote a great post talking about why rain is such a problem at harvest – check it out here. And in some parts of Alberta, farmers also had to deal with snow. My friend and fellow ag blogger Nurse Loves Farmer shared a great post on what snow in September means for farmers – check it out here. Rain, snow and cool temperatures can all wreak havoc on harvest for farmers. And that’s exactly what happened this year. Ideal harvest weather is warm and dry for at least a few weeks in the fall in order to get the crop off the field and in the bin. Unfortunately, circumstances are rarely ideal. So you’re left to roll with the punches. Of course most of us who live in the city would also love a warm and dry fall as it prolongs summer before the dreaded winter arrives. But it’s not something that will impact our livelihood. Rain and snow during harvest can affect both the yield and quality of most crops. This is frustrating and discouraging for farmers. 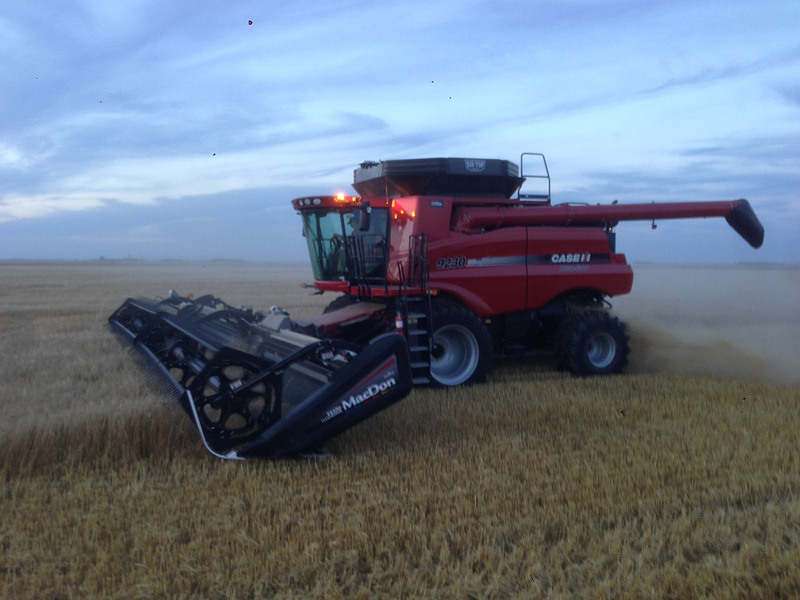 For most farmers, harvest is their favourite time of year. This is the time of year where they finally reap what they sow – literally. All the planning and hard work that has taken place throughout the rest of the year finally comes to fruition at harvest time. 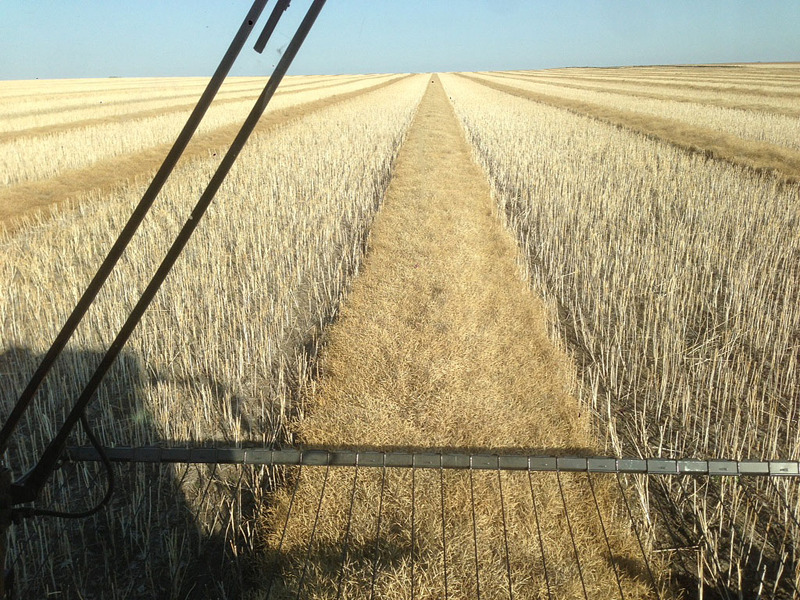 This is why experiencing a challenging harvest is so discouraging for farmers. Thankfully, most farmers are optimistic and believe that there’s always next year. 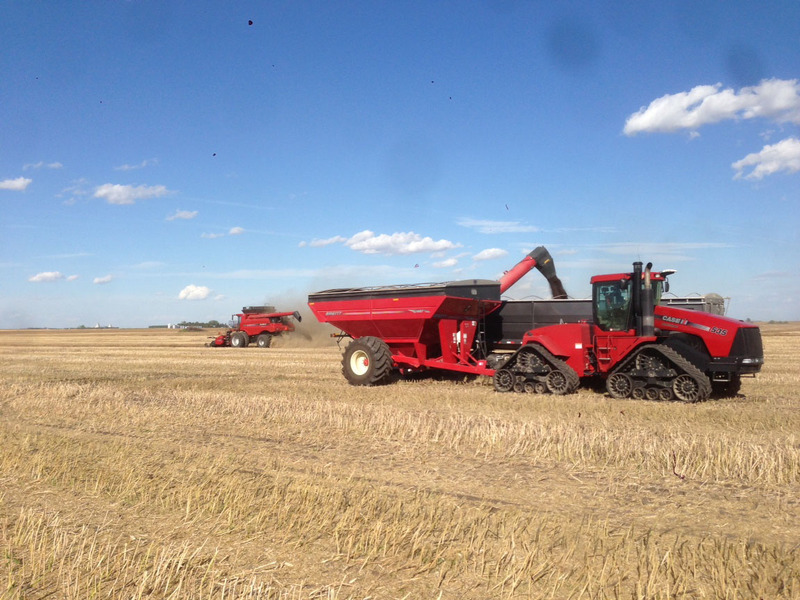 Here are some photos from #harvest14 on my family farm, courtesy of my brother Derek. Wheat harvest on my family farm. Combining spring wheat on the farm. Canola harvest on my family farm. Unloading canola in the field. Thanks for the shout out! We’re finishing canola, praying for the sun to stay out and have about 4 days of wheat! Thanks for reading, Sarah! We’re finally finished wheat and have some canola left. Hopefully it’ll be wrapped up soon.